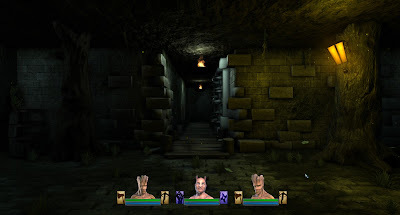 Arakion is a first person, group based 3D role playing game that includes extensive customization, town building and adventuring in a story driven world. You're put in control of three heroes trying to survive a world devastated by war. Adventuring in Arakion will take you across open land, into deep dungeons and even put you in control of rebuilding a desolated town. The game is made using Unity3D game engine and currently it is on Kickstarter. So far it has raised $5k with final target being $25k. Arakion will be released on Windows, Mac and Linux platforms in December 2013. For a pledge of $15, you can confirm a copy for yourself (25 days left).